“Success is an inside job”—a favourite quote of Inga Vanqa that perfectly describes his personal nature and manner of doing business. Founder of Inga Vanqa Quantity Surveyors and Project Managers (IVQS), one of the fastest growing built-environment consulting firms in the country, Vanqa is no stranger to self-motivation and maintaining a continuous inner drive to achieve. “I say success is an inside job, as there will always be a lot happening around you and you can easily get distracted—demoralised, if you take it to heart—but if you are constantly motivating yourself by telling yourself that you are fine, that you are going to make it, then success will come from within and it’s got nothing to do with the people around you,” he says. Inga Vanqa started his career in 2004 after completing his quantity surveying studies. 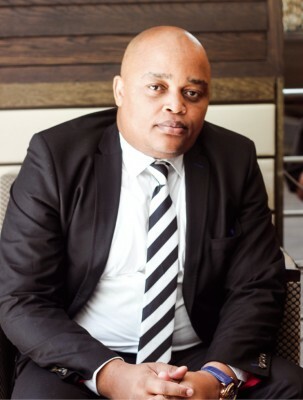 After working for a small firm in East London for three years, in 2007 he moved to Johannesburg to work for a multi-national firm, which introduced him to the mining industry. “I learnt a lot during my time there and before I left to start IVQS, I was leading multi-million rand mining projects both in South Africa and internationally. During that time, I also acquired a Master’s Degree in the Built Environment and qualified as a Professional Construction Project Manager (PrCPM), with the respective professional bodies, and these credentials gave me a firm foundation upon which I started the business,” he explains. IVQS was founded in 2013 from very humble beginnings. After quitting his job in Johannesburg, he moved back to his parents’ home in the Eastern Cape, where they generously gave him their garage to set up as an office. It was a tough journey in the beginning with a number of challenges, the most pressing being financial. “The company was formed from my own savings and no other funding, and the savings that I thought would carry me through until the business started being sustainable were not enough, so I went through a bit of a financial crisis. During the first two years, clients didn’t pay in time and I ran into cash flow problems, which hindered the growth of the business. It came to a point where I almost gave up but after about two years, things turned around, a few opportunities came by and from then on, it’s been a rollercoaster ride, but it’s been picking up, there has been a lot of success, a lot of good things are happening,” Vanqa enthuses. “As difficult as things were, I never compromised on the quality of the services that I was rendering to my clients, and I always delivered on time. That is what helped us to build such a good reputation and I have maintained that until now. Reputation is everything and I protect ours jealously because once the reputation is gone, it’s very difficult to rebuild,” he adds. He says that starting his own business was always part of his plan from the time that he began his quantity surveying studies at university. Having worked in the built environment for over 10 years and having acquired both local and international experience, Vanqa felt it was the perfect time to venture out on his own. “After I finished my degree, I gave myself a period of 10 years to gather the necessary experience and qualifications required and then I’d start the business. After eight years, I made it a reality. I had a Master’s degree at that time, I was a professionally registered Quantity Surveyor, professionally registered Construction Project Manager and I felt that I was well prepared, I had the self-motivation and determination and the belief that there was nothing that can stand in my way,” he says. “Initially, the company offered only quantity surveying consulting services but as it grows, we keep on adding to the service offering. IVQS offers an expansive range of services that include Quantity Surveying, Construction Project Management, Green Building Consulting, Project Audits, arbitration and advisory services to the government of infrastructure development,” he says. Next year, the company celebrates its fifth anniversary and Vanqa says they’ve planned a rebrand to signify the inclusions. “On the business front, we’re opening up to other opportunities outside of just quantity surveying and construction project management. There are opportunities in various other sectors so I am taking off the hat of just concentrating on these two services. I want to be a broad-minded business person, open to opportunities, so with the newly rebranded company next year, I want to take advantage of opportunities on the African continent as well as growing the business within South Africa, because I still believe that in spite of all the turmoil that’s happening in the country, there are still opportunities for companies like mine,” he explains. One of the immediate goals is to grow the footprint of the firm to at least all the nine provinces. IVQS currently has a presence in the Eastern Cape, Free State and Gauteng and is in talks with a few potential clients in Lesotho and Botswana. Vanqa’s further plan is to take it beyond the borders and expand into other African countries, saying that opportunities are already arising in the DRC, Ethiopia and the Congo. When it comes to the company’s competitive advantage within the industry, Vanqa explains that having worked for some of the biggest firms in the world before starting the firm, helped a lot in terms of planning and building IVQS to what it is today. “I know which practices work both internationally and locally and I know where the pitfalls are. Each project is unique and we treat it as such, as what has worked in the past might not necessarily work today. We have embraced technology and have some of the latest technologies available, both locally and internationally and that’s our competitive advantage. Passion and the exuberance of youth also work for us, we’re a firm of young people with fresh ideas of how to tackle problems and I always encourage new ideas,” he says. 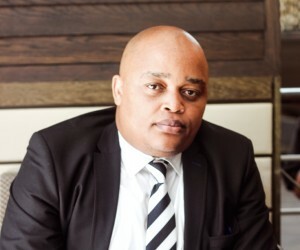 Asked whether transformation is occurring at the level that it should and black businesses are receiving the needed support, Vanqa says that it is not and that it’s still very tough to be a black businessperson in this country. He cites inadequate access to finance and access to the markets as primary reasons why. “The private sector is still very much closed off to black-owned businesses. I have been fortunate in that I have had opportunities in the private sector but it’s very difficult to get into the private sector. We’re limited only to government work, which can come with its own set of challenges, as with the government, there are politics involved. and late payment of service providers. Yes, there’s a new Department of Small Business, they call it, but I don’t think it’s doing enough to encourage more people to start their own businesses and provide them with opportunities to start a business and support them once they’ve started their businesses,” he says. Vanqa considers himself a role model for other inspiring entrepreneurs and believes strongly in mentorship and knowledge sharing. “I’ve been blessed to have acquired a considerable amount of knowledge both academically and through work experience, and I enjoy imparting that knowledge to my juniors and mentoring them as they grow into professionals. I do get many calls from people wanting to meet up and I always try to make it happen. It took time for me to accept that kind of responsibility—that people look up to me, want to emulate me—and it comes with a lot of responsibility as well, because everyone is watching what you’re doing,” he says. “I always tell them, and it’s not to scare them in any way, that it’s not easy to start a business. It’s probably one of the most difficult things that I have done in my life. I always remind them that they need to persevere through the difficult times and things will eventually turn around. Additionally, they have to do some research on the industry they want to get into and not just jump into something that they have no knowledge about,” he adds. Vanqa has a number of role models who have inspired his own journey, such as Sandile Zungu, Khanyi Dlhomo, Sisa Ngebulana and Luvuyo Rani. An area close to his heart is social investment and giving back to communities. Vanqa says that the ever-widening gap between the have and the have-nots will not be easy to repair but that every small attempt to do so can help, and that it’s not only the responsibility of the big corporates to play a part in CSI, but smaller companies like his own as well. “IVQS is involved in a number of CSI projects. We’re involved in quite a few school building projects in the Eastern Cape and in the rural areas and recently, I teamed up with a friend of mine who is a professional photographer and went to take class and individual and team photos at these schools. It’s something many would view as insignificant but those kids have never had this kind of opportunity before and it was wonderful to see the reactions. Other projects include renovating schools, we’ve built a church, sponsored a sports tournament during Youth Day—it’s something that I’m very willing to participate in. I don’t believe that it’s only the responsibility of the government to help out with the impoverished people. I enjoy helping out where I can, it’s something that I feel that I’m really passionate about and later on in my career, when I have a bit of time on my hands I would like to dedicate more time to it. I enjoy working with young people and hopefully when I’m older , I’ll be a lecturer and share the experiences and the knowledge that I’ve gathered,” he enthuses. Vanqa was the recipient of the New Entrepreneur Award at the recent 2017 Big Time Strategic Group Black Business Quarterly Awards, an achievement he is phenomenally proud of. “I’m grateful for the recognition of all the hard work that I’ve put into my work. And the company recognition, it gives it credibility. There are always people who don’t believe in you easily, who are thinking, ‘what if he closes tomorrow and fails’. Getting an award like this strengthens the validity of a business. I’ve won a number of other awards before but this one is the best by far. It was my first time at the BBQ Awards and to be in the same room as the captains of industry and individuals who I have looked up to was fantastic. I remember telling the guys who I attended the awards ceremony with that just the nomination and being there was a big enough achievement, and obviously winning was just the best thing that could have happened to me,” he says. Regarding his leadership style, he believes in leading by example and that one can never lead people into doing that which he, as a leader, is not prepared to do him or herself. I have also learnt the value of effective communication in running a business, and leadership is also about taking responsibility and being accountable, and owning up to your mistakes and shortfalls. As Managing Director, Vanqa leads a vibrant team of professionals and says that each day is unique and comes with its own set of challenges. His days are spent either travelling between meetings and visiting sites, or compiling project records and proposals, doing general office administrative functions as well as supervisory roles at the office. Vanqa celebrates his two-year marriage anniversary this month and is the proud father of a four-year-old boy and a one-year-old girl. Balancing his family life with his demanding business schedule is very difficult, he says, especially when starting a business as it demands a lot of one’s time. “My line of business involves a lot of travelling all over the place, so it’s with great difficulty to get a balance, I try but I’m not where I would like to be as far as achieving that balance. I’d say, at the moment, it’s leaning heavily towards business. I miss the school functions, I don’t get opportunities to take the kids to school and things like that, but it’s part of the sacrifice that one has to make. I believe success comes with a lot of sacrifice but hopefully, I will retire early and get to be the house husband and stay at home and do all of these things. My wife has been very supportive and I admire her greatly for all that she does for me and our children,” he says.